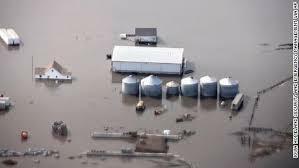 Floods in Midwest will drive much higher commodities prices during 2019, impacting all key food commodities. Wild card of potential Mexican border closing could suddenly intensify inflationary pressure. Impact of price competition from Walmart and Amazon is even more dangerous for traditional grocers, in context of commodity price inflation. Higher costs of online order assembly and delivery pressures traditional grocers like Kroger to consider store closings and other cost reductions. Investors have worried over one retail sector after another over the last 20 years of online sales. Starting in 2017 and continuing through 2018, grocery stores are in the crucible. The story of online impact on traditional grocery chains is about to get much worse. 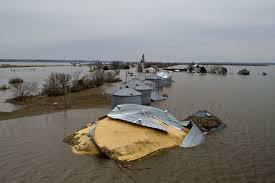 Floods in the Midwest have made huge price increases on food inevitable. Border controls and tariffs can only make this inevitable event much more worrisome. 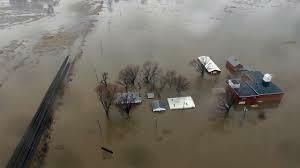 Floods in the Midwest all along the Missouri River have devastated farms in the states of Iowa, Nebraska and Missouri. How bad is it ? Reporting from local and national media calls it a "bomb cyclone", "historic", even "biblical." Cost is already conservatively estimated in the billions. Farmers are having to hire helicopters just to see what is happening on their own land. What they see is not just a few months of high water inconvenience, but two whole years of lost crops. 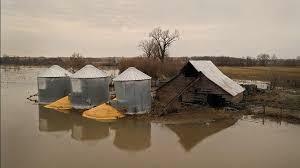 Last year, because the grain bins loaded with the 2018 harvest are leaking, collapsed or internally spoiled. This year, because farmers will be unable to plant this year's crops for months; maybe, not all. The impact is not just on corn and soybeans. To some extent these are export crops, now subject to tariffs and unwanted trade constraints, as foreign customers express displeasure with new US trade policies. So brace yourself. Your cost of food is going up, no matter where you shop or even if you only eat out in restaurants. If the Mexican border is closed, or even just more tightly constricted, food cost inflation will not be just for grains and meat, but also for fruits and vegetables, almost all of them, throughout US markets, even East Coast and California. It would happen suddenly. I hope we don't see in-store fights over the avocados. These higher costs come to us in the context of already intense competition. Walmart already claims 14% of all grocery spending in the US, as penetration of frozen food, canned food, paper goods and snacks has been supplemented by expanded aisles of fresh food and other grocery items. Walmart acquired Jet.com for $3.3 billion in September 2016, bringing them head to head with Amazon.com for home delivery of food and groceries. Amazon returned the favor to Walmart by acquiring Whole Foods for $13.7 billion in August 2017. Amazon's grocery sales were only 0.2% of total US grocery spending, but since completing the acquisition of Whole Foods, Amazon now claims 1.2% of total US grocery and fresh food sales. Not content to consolidate the Whole Foods chain, Amazon has aggressively reduced prices on online sales of grocery and produce items, forcing even mighty Kroger (KR) and other grocery chain competitors to match the price reductions. Investors should expect that these price cuts will remain in place for a short time after the inevitable food price increases from commodity price inflation. Walmart and Amazon see this as a battleground for market share. When food price increases hit, they may still hold the line, extending low prices to retain customers, hoping to bloody their smaller competitors, ultimately driving them from the field. The issue is the growth of online grocery ordering. There is no question that online grocery ordering is convenient. Investors can see food in several places on Amazon.com, including the home page, AmazonFresh, Prime Pantry and PrimeNow. Amazon is hoping grocery customers will download their PrimeNow app to order online from their tablets and smartphones. Amazon now promises two-hour grocery delivery in many US cities. For using the PrimeNow app, customers get free shipping from Amazon. Kroger and Walmart find that online ordering is not just for in-home delivery, but for onsite pick-up. Shoppers at grocery stores today find the best parking spaces occupied by customers poised over their grocery-ordering phone apps, waiting for grocery valets to push full carriages of food and supplies out to their waiting SUVs. Kroger is already feeling the pain. Despite spending aggressively on online apps and advertisements, Kroger admits to market share loss. The answer for Kroger can't be to cut food prices any lower. Kroger must instead cut costs. Would you believe Kroger is now outlawing Visa cards? Only MasterCard is now welcome at Kroger. Soon Kroger plans to stop providing customers with plastic bags to carry their items out of the store. So how do this play for retail REITs, specifically for the three retail REITs with portfolio concentration in grocery anchored shopping centers? I think these pending changes are not good for retail REITs, but certainly not as bad as for their key grocery tenants. Key take-away from this table should be that while 72%-80% of all properties owned by these three retail REITs are anchored by grocery tenants, total rent exposure from all grocery tenants combined is less than 15% for all of them. Tenant list for these grocery anchored shopping centers includes many other familiar retailers and restaurants. Using Regency as an example, TJX, CVS, Nordstrom, Bed Bath & Beyond and L.A. Fitness Club are significant tenants that are doing well. For Brixmor and Weingarten, the tenant list is similar, except that both lease space to Walmart, while Regency leases space to Target. Of these three grocery anchored retail REITs, Regency Centers (NASDAQ:REG) looks like the safest choice for conservative investors. Since merging with Equity One for $5.9 billion during March 2017, Regency Centers has been one of the 30 REITs included in the S&P 500 Index. Regency Centers is also the only one of these three retail REITs to project FFO growth during 2019, as recent and planned divestitures restrict growth for both of the others. 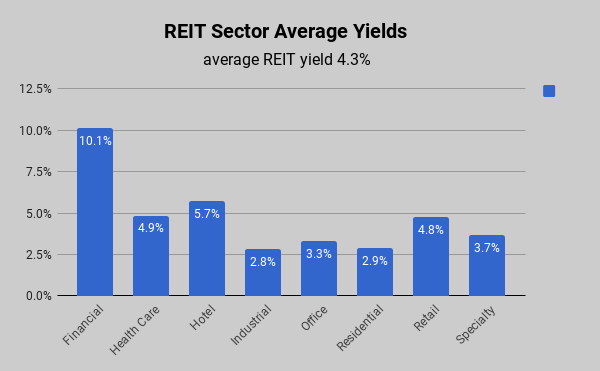 As shown in the table below, Regency's yield of 3.4% reflects higher investor regard than for the other two of these retail REITs. All three of these REITs traded up more than 16% during 2019, matching average 16% year to date increase for retail REITs, with Brixmor Property Group up the most, up 25% year to date, while Regency Centers increased up 16% and Weingarten Realty Investors is up 19%. All three have outperformed the S&P 500 Index, up 15% during 2019. A difficult operating environment for grocery tenants should not deter long term investors from considering these REIT stocks. I see Regency Centers as a strong BUY, with investments in 2017 and 2018 expected to contribute significant FFO growth for 2019. Management guidance indicates FFO growth UP +8%-+10% for 2019. Brixmor Property Group and Weingarten Realty are both HOLDs at this time. Despite the higher yields on these smaller grocery anchored REITs, portfolio divestitures mean FFO will decline. Brixmor Property Group recently provided guidance indicating FFO decrease down (3%)-(7%) for 2018, while Weingarten Realty projects FFO decline down (5%)-(8%). I note that dividend growth also reveals an important contrast. Regency Centers increased dividends 6% during 2018 and another 5% for 2019. Such a pace is bound to attract new investors. Although Brixmor Property Group increased dividends by 8% during 2018, for 2019 investors have seen no dividend increase. 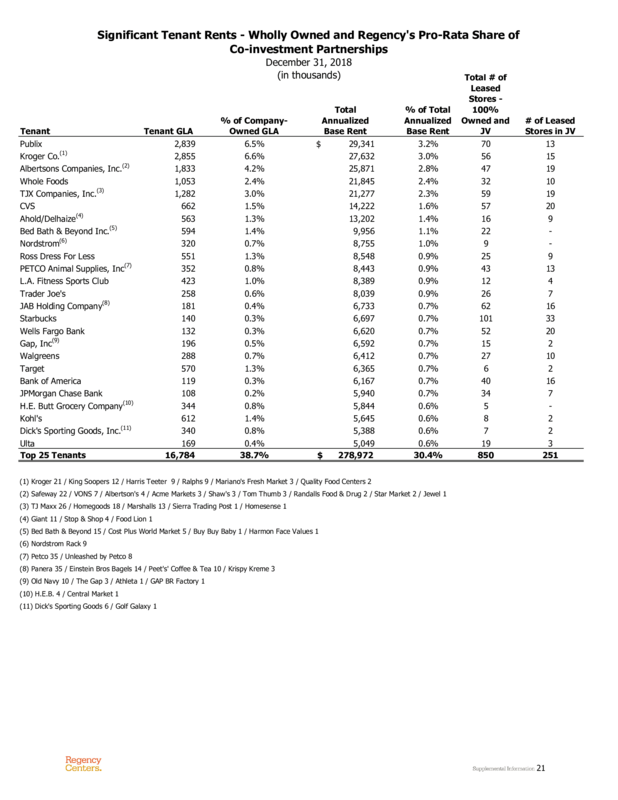 As for Weingarten Realty, dividends increased 3% during 2018, but not at all for 2019. With declining FFO due to divestitures, neither Brixmor Property Group nor Weingarten Realty are likely to increase dividends until FFO growth is restored. Investors should consider shifting their portfolios from tenants to landlords. SELL the grocery chains, buy the Retail REITs. When inflation gets worse, we will need to retain positions that provide us with increasing dividends. 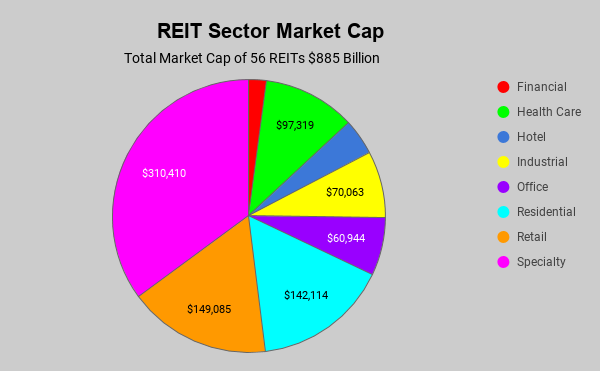 REITMonitor Index tracks 88 REITs with total market cap of $885 billion.